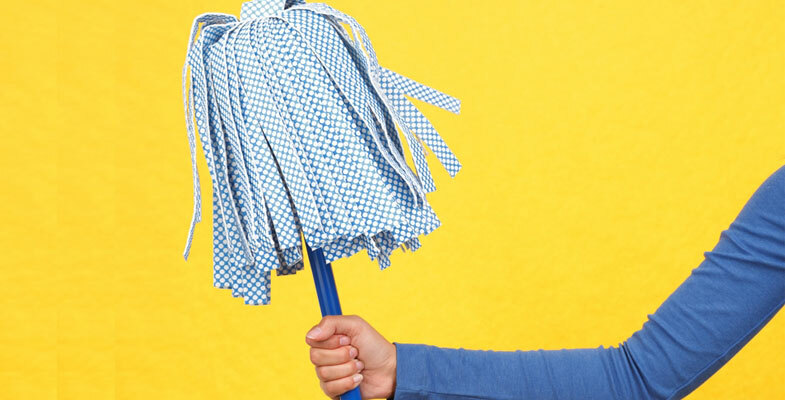 What is it about spring and cleaning? At home, we get out our dusters and get busy, and we tend to do the same in our businesses. The dusters part aside, organizations everywhere use this time of year to step back and ask themselves one thing: What needs to be cleaned up? While many aspects of your business may come to mind, one area that’s well worth examining every spring is marketing. After all, you’ve spent the winter setting goals for the coming year and testing new strategies and tactics, so spring is the ideal time to take a look at what’s working and what’s not. So, instead of grabbing your duster, grab your marketing team and get ready for a cleansing discussion about each of these tasks. If any of the above statements are true for your company, don’t spring into action – yet. Instead, conduct a thorough brand audit to identify exactly where the problems are. You can use our 10 Must-Ask Branding Questions as a starting point. Once you’ve answered these questions, you’ll be in a much better position to determine if it’s time for a major brand overhaul or simply a little freshening up. Today’s marketing environment is always evolving and fast. This requires companies to make quick decisions, constantly experiment and adjust their strategies, and continually develop new materials and content. Spring is the perfect time to get rid of the less-successful initiatives so that you can focus your resources on what’s working well in delivering desired results. To help you understand what competitive marketing looks like today – and what questions you need to be asking – read Marketing in the Real World – Most Important Decisions for Avoiding Execution Paralysis and make sure to check out our Marketing Resources Roundup with even more resources and tips for effective marketing. Operations is the one aspect of marketing that many companies neglect to examine regularly. And yet, combating inefficiency in your marketing process is critical to the overall success of your marketing and business development effort. Are we maintaining multiple online entities (e.g. a corporate website, a stand-alone blog, a separate website for a product or division, etc.)? Bringing all of them into a single system can result in greater efficiency while also improving the visitor experience. Do we have a streamlined online storage and sharing system for all brand assets and marketing templates? If your marketing team is spending its days answering “where do I find…” questions, it’s time to get organized so that everything is easily accessible. If investing in a full Digital Asset Management (DAM) system is not in this year’s marketing budget, use your intranet or even Dropbox to create a centralized space from which to manage your brand’s digital assets. Today’s marketing management is increasingly complex and you need the right tools and technologies to help you manage your process, teams and department more efficiently. Slack, Trello, Dropbox, Google Docs are just some of our favorite tools for keeping our team on track. Check out our article What Marketers Are Geeking Out On – Big Time and Marketer’s Digital Toolbox 2.0 for more ideas and tools. These three areas of your marketing are largely responsible for your company’s success. From a strong, effective brand and marketing plan to super efficient marketing operations, each piece of your marketing machine needs to be in tip-top shape if you are to experience the marketing ROI you deserve. Take the time every spring to freshen up, clean up and tidy up your marketing and you will be primed to reap greater and greater rewards from your effort each and every year.